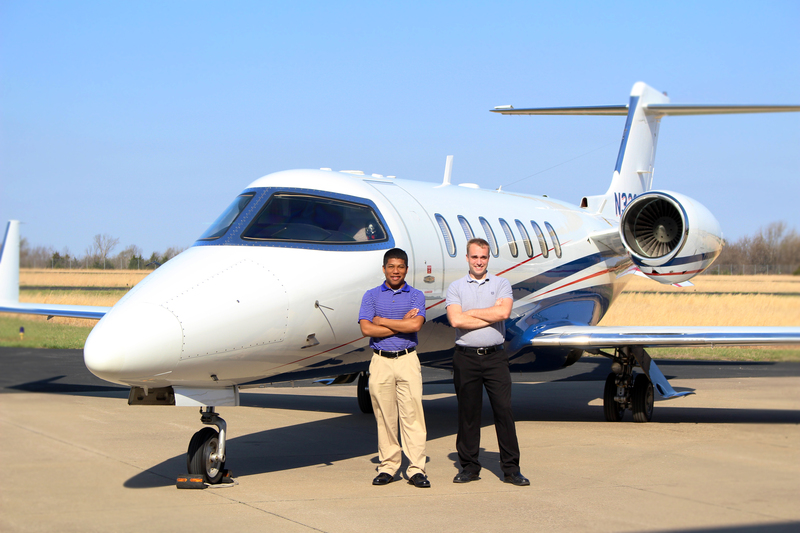 The sky is the limit for two Eastern Kentucky University Aviation students, Sam Elliott and Horace Hunter. Both were granted internships with Ward/Kraft Inc. Ward/Kraft, Inc. is a nationally known leader in the design and production of labels, plastics, Commercial print, mailers and Business documents including continuous, unit set, cut sheet, labels and form/label combinations. The EKU program’s professional flight option is the only FAA-approved university flight program in Kentucky. Students who earn their degree in professional flight attain FAA certification as a private pilot, commercial pilot, an instrument rating, certified flight instructor-instrument and multi-engine ratings. Before graduation, they will log 250-300 flight hours via Central Kentucky Regional Airport, now managed by EKU. Horace will be pursuing another internship beginning in May with Textron, parent company of the well-known Cessna aircraft brand. “This one,” Hunter said, “will deal with many important executive figures and other interns.” Hunter will serve as a ground instructor teaching flight principles, and provide flight instruction and discovery flights. Sam has been asked to continue his placement with Ward/Kraft Inc. until August 2017. For more information on Aviation at Eastern Kentucky University, visit http://aviation.eku.edu.